Fifth-grade students at RISD Academy in Richardson listen to Ivory Smith, a teacher-in-training at the school. Earlier in the school year, she read from a children’s picture book to a group of fifth graders at RISD Academy. The book, called "Chrysanthemum," is about a young mouse who gets teased about her name. "Chrysanthemum took the longest route to the school," Smith reads. “I know why she was late,” says one of the students. "'Cause she didn’t like them to bully her name." 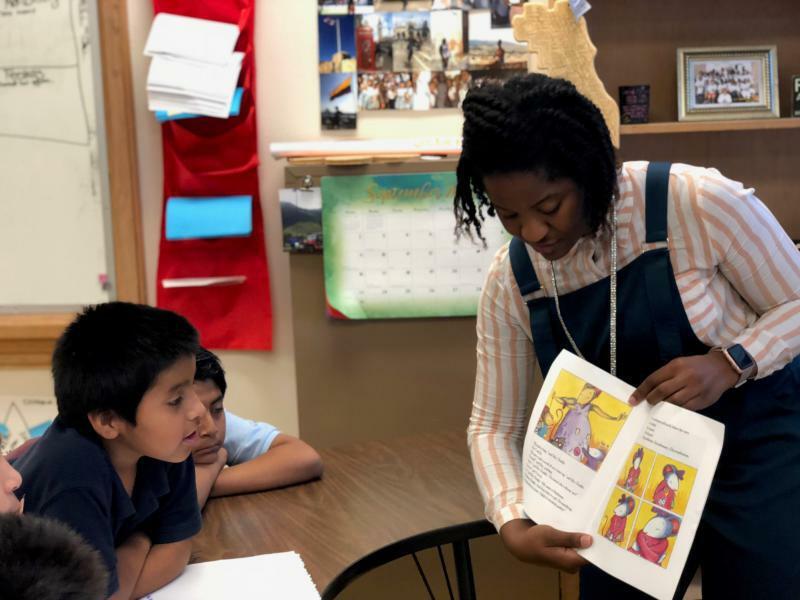 Ivory Smith, a teacher-in-training at RISD Academy in the Richardson Independent School District, reads to fifth-graders. She's enrolled in the Dallas Teacher Residency program. Vanessa Andrade (left) is Ivory Smith's mentor teacher at RISD Academy. Her goal is to prepare Smith to lead her own classroom next school year. Back in the classroom, Ivory Smith asks kids about the book "Chrysanthemum." 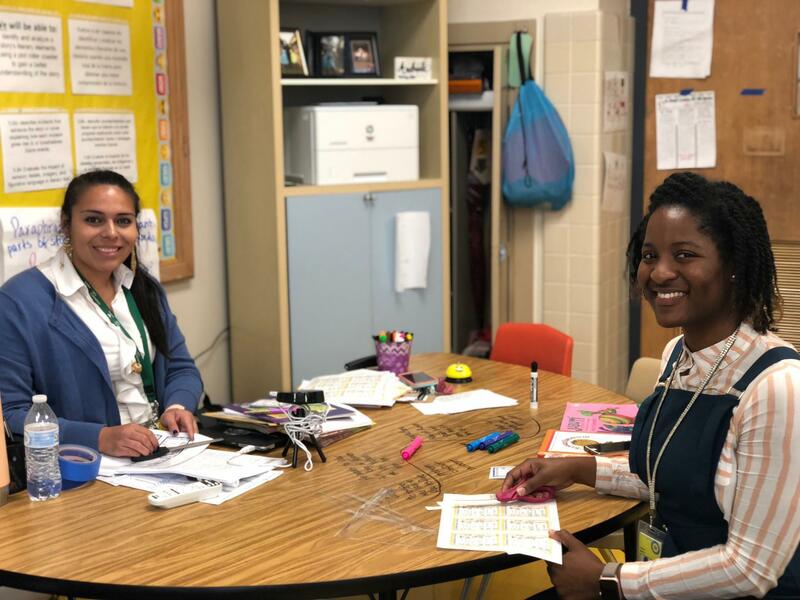 The Richardson Independent School District is launching a plan aimed at improving four of its low-performing elementary schools. It joins other North Texas school districts – Dallas and Fort Worth – that have poured more money and resources into its struggling campuses. New research shows that even basic digital skills bump earning potential by about 17 percent. And since the auto industry is moving in a digital direction, there are a lot of good-paying jobs to be found there. A few hundred Dallas high schoolers just got to see for themselves. The Fort Worth school district is trying to recruit teachers with a billboard campaign in Oklahoma, where teacher protests about classroom funding recently closed schools across the state.